Introduction: Brendan Keane served on CS Ocean Layer in the 1950s, and was on the ship when it laid the 1957 San Francisco - Hawaii cable, HAW-1. 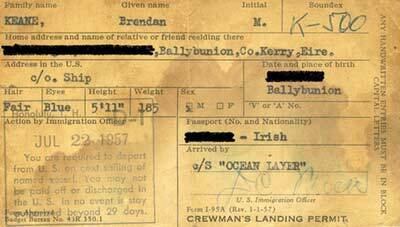 Here John Keane, Brendan's son, shares some of his father's stories, photographs and papers. My father sailed on the Ocean Layer when it laid the cable between Hawaii and San Francisco. I don't known when he joined the Ocean Layer but always talked about this ship with fond memories. He said the work was hard and they were always afraid that they might lose the cable. 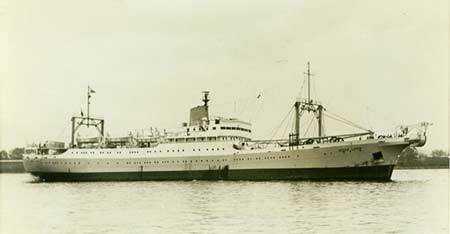 The Ocean Layer worked closely with CS Monarch in laying the Hawaii cable. 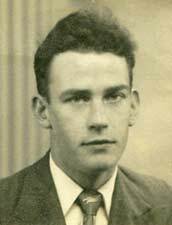 I remember him telling me how he felt when he saw the Golden Gate Bridge for the first time as it came into sight; passing Alcatraz which was still in use at that time; and walking down the street in San Francisco with all the bends. He also recalled how they ate pineapple for the first time, and how by the end of the voyage he was sick to death of it! He told me that shortly after he left the ship it was damaged by fire (see below). See also the pages for CS Ocean Layer, the 1957 San Francisco - Hawaii cable, Jim Coulson's story, which includes his testimony about the 1959 fire on Ocean Layer, and and Ken Guy's story, which also describes the fire. Editor's note: The Ocean Layer caught fire while laying TAT-2 on 14 June 1959, and had to be abandoned. The ship was a total loss and was sold for scrap in December 1959. "Ninety-eight men, ten Americans among them, were picked up from lifeboats 500 miles off Ireland today after fire swept the British cable-laying ship Ocean Layer. "The blaze started in the engine room as the 4,534-ton vessel headed slowly for France, stringing behind it a cable that will give America its first direct telephone link with the European Continent. 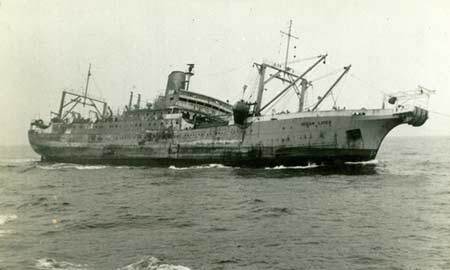 "The Ocean Layer, a former German cargo ship taken as reparations by the British after World War II, was still burning hours after the rescue. The ship, owned by Submarine Cables, Ltd., of London, was engaged in a $40,000,000 project backed by A. T. & T. and the government-owned telephone services of France and West Germany." CS Ocean Layer's captain at the time of the loss of the ship, Anthony Ross, was interviewed in 1991 about his career in the cable service and provided many additional details on the fire. The interview is available as a PDF document at at the Arambec Research website.